Designed with dual independent design, physical left and right channels 100% separation, independent grading ground. This board can using 3pcs 12AX7 or some other same type tubes (12AXX series are all ok). if you want change using Filament voltage 6.3V tubes. 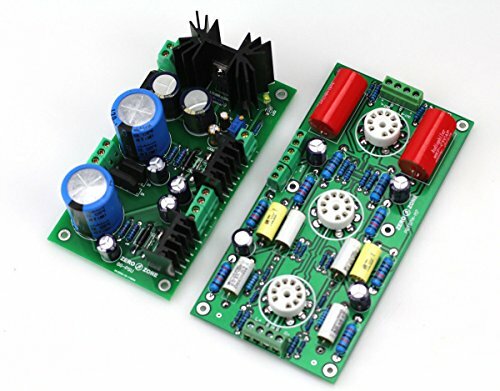 such as 6N11/6N2.... can adjust the power supply board lower voltage to 6.3V. and the input Low AC voltage 6V-9V are ok. If you have any questions about this product by JINGLUYAO, contact us by completing and submitting the form below. If you are looking for a specif part number, please include it with your message.